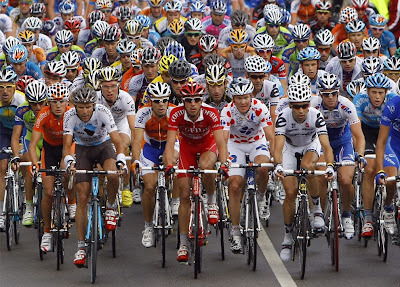 The Tour de France ended last Sunday in Paris with Alberto Contador from Spain winning. 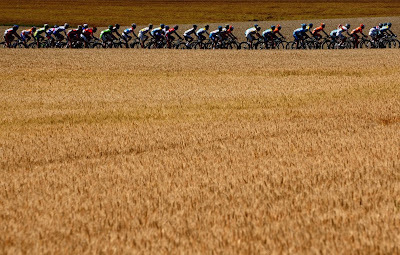 The Tour de France is the most difficult bike race going through the French countryside. The race started in the early part of July this year in Monaco and took riders along the Mediterranean to Spain back across the Pyrenees to the French Alps then up to Paris for the finish. Andy Schleck of Luxembourg was the second place overall winner. 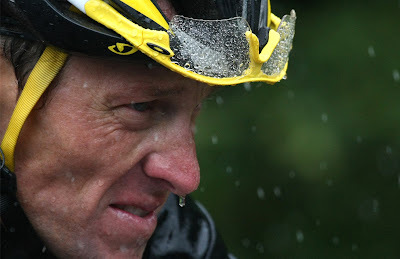 Lance Armstrong, a seven time winner of the race, came back from retirement to finish in third place. 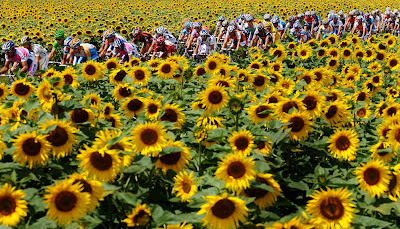 Read more at the official Tour de France site and see some amazing images of the race, check out this link to the Boston Globe's The Big Picture site. URBANSCREEN is doing wonderful works with video projections on buildings. You have to check out this marvelous work at the URBANSCREEN website. 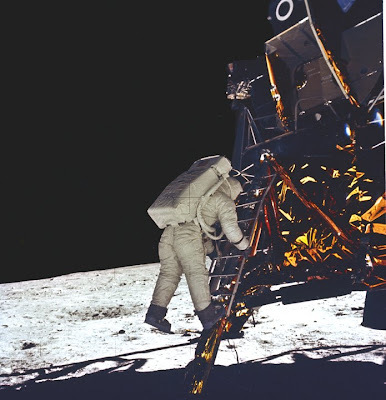 Their work sure would help many urban environments to break out of the everyday monotony of life. 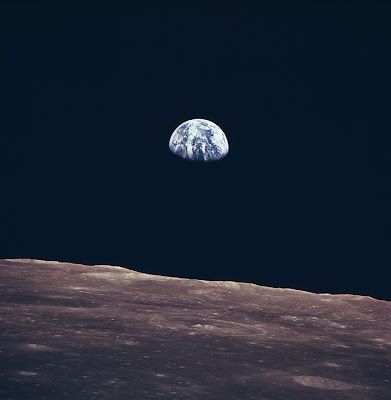 Enjoy and be amazed! 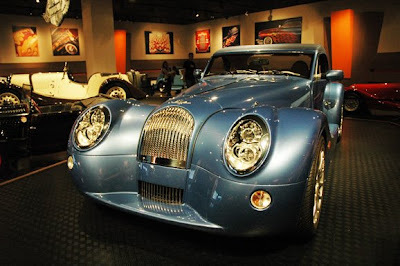 I was Wilshire district of Los Angeles recently and stopped at the Petersen Automotive Museum. 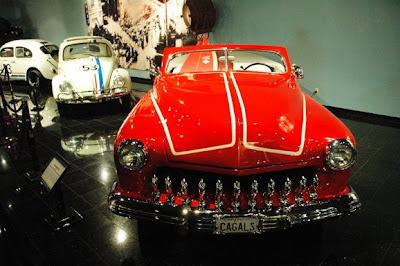 This museum is a treat for lovers of cars and design. It was my first visit and I was impressed. First the collection of cars is diverse and spectacular. 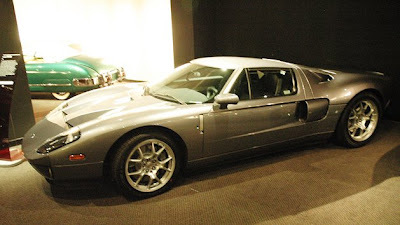 They range from early beauties, to muscle cars, to concept cars, to the finest of the luxury cars. 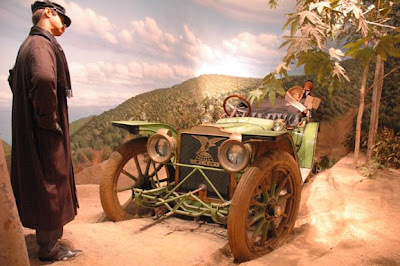 One would expect nice cars in a car museum but I was happy to see the great exhibit design that help show off the cars. 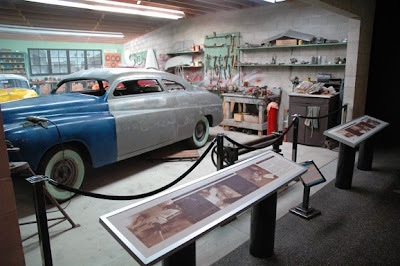 The exhibit design for the museum is well done showcasing the cars in a "Hollywood" California way, with dioramas and building fronts. 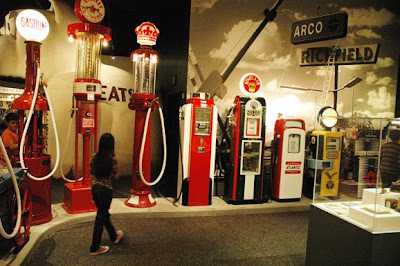 The Streetscape exhibit also includes signage, fuel pumps, and a stocked auto parts store of the past. 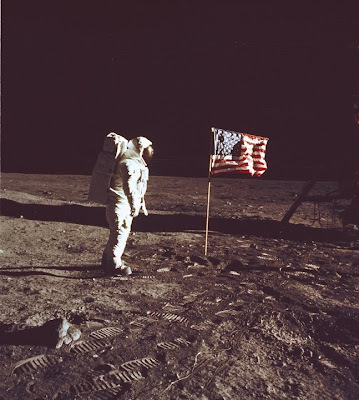 Other great views are the cars Hollywood used in famous films, such as Batman and Herbie, along with those owned by the stars. 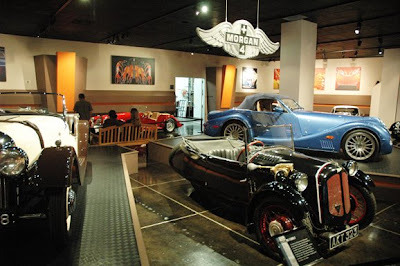 You will find the Petersen Automotive Museum a great afternoon visit, with beautiful cars and a fine exhibits. Check it out, you can drive my car, not. 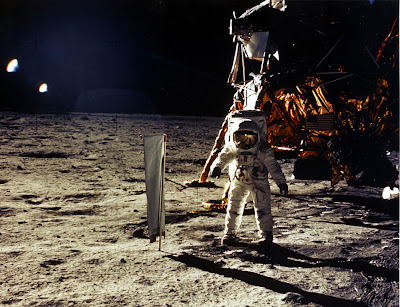 Mad Men is coming back with season 3 starting on Sunday, August 16th on AMC. 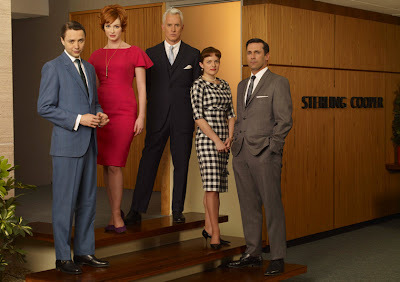 Mad Men is based on the world of advertising in NYC at the fictitious Sterling Cooper Agency in the early 60s. 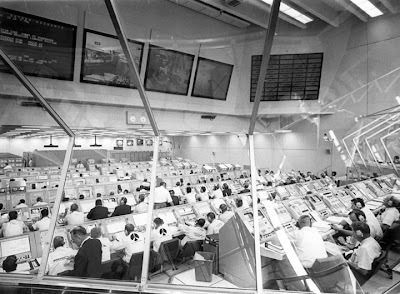 Many of the events and companies that are discussed during the show are based on actual agencies. 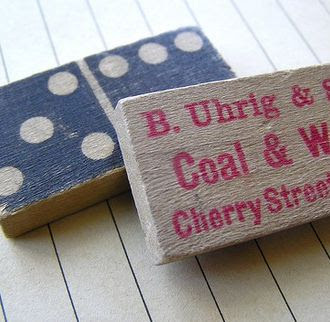 The men drink, smoke, fool around and make ads; and the women do the same but this era was a time of change for women in the workforce that plays out each week. 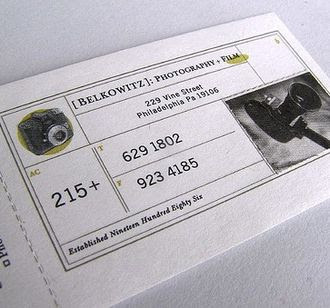 The show is compelling and you will find it hard to miss each week. And thanks to the inventor of the DVR, I don't have to miss an episode if I am busy. 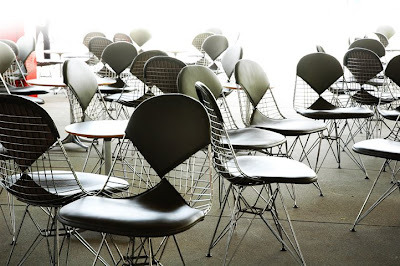 Image I took of a group of chairs in the atrium of LACMA on a recent visit. 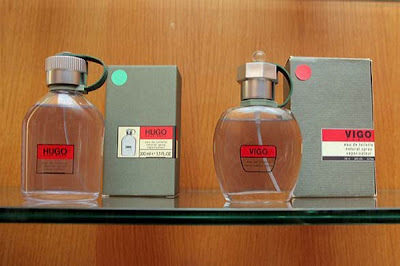 Counterfeit products and piracy cost an estimated $100 billion a year according to the World Intellectual Property Organization. This in turn cost designers hard worked for money in royalties and fees plus lowers what we can expect for our initial design fees. 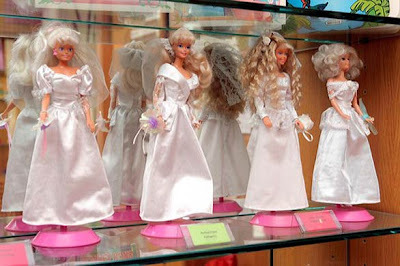 In Paris to help raise aware of this global problem, Union des Fabricants (Unifab), a French trade group, opened the Musée de la Contrefaçon (Museum of Counterfeiting) in 1951 as a way to educate the public. 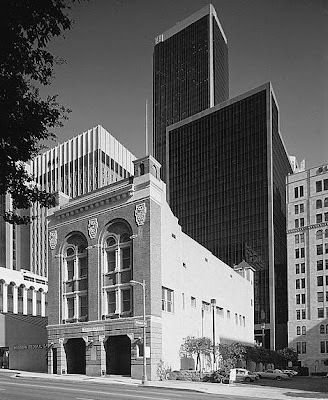 You can view examples of this museum at a photo essay in the Los Angeles Times. 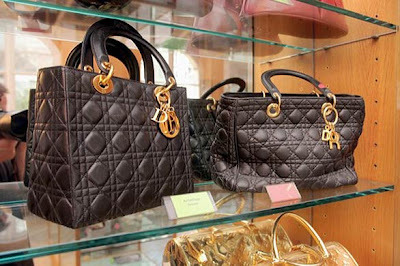 It seems that if you can thing of it, it is being counterfeited. 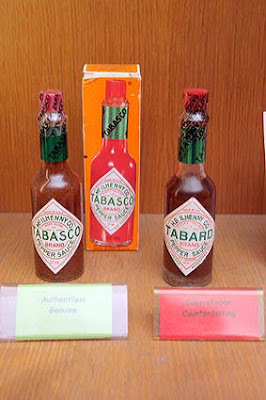 Do people really fall for the Tabard, Tabasco sauce? 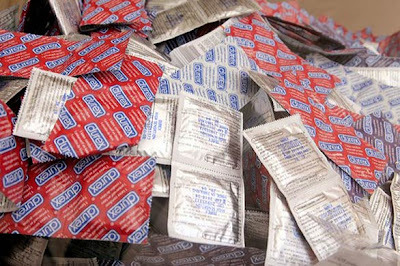 I do believe that somethings like condoms should just be off limits with these wrongdoers that produce these products. 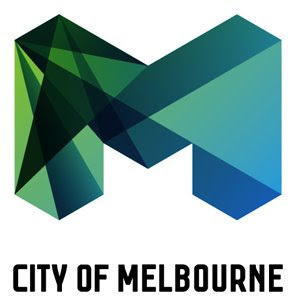 This new mark for the City of Melbourne is cool, hip, and makes a statement. The mayor of Melbourne, Lord Mayor Robert Doyle announces the new identity this week. 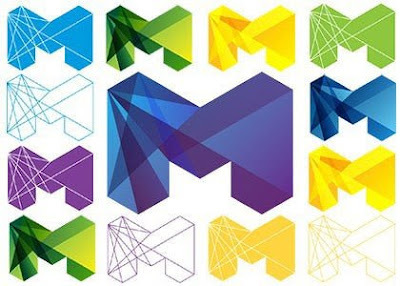 “The ‘M’ design will become an icon for Melbourne, synonymous with the modern, vibrant, cool city Melbourne is today and will continue to be in the future. 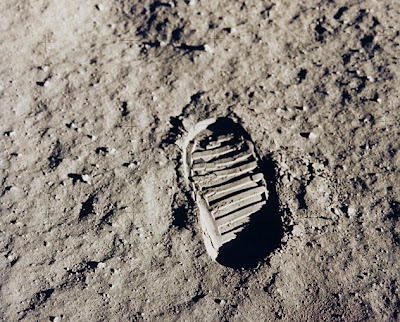 Read additional information about the mark at the great logo site, Brand New, hosted by Bryony Gomez-Palacio and Armin Vit. Be sure to also check out the new design book by Bryony and Armin, Graphic Design, Referenced. I have added it to my Amazon wishlist for my next order. 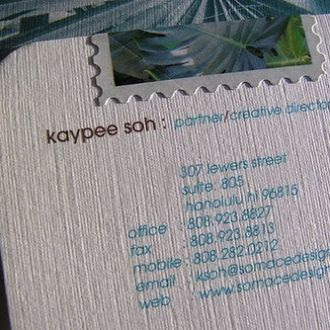 I am in the process of designing new business cards for aNEW designs and was pointed to this site, Designer Businesscard. 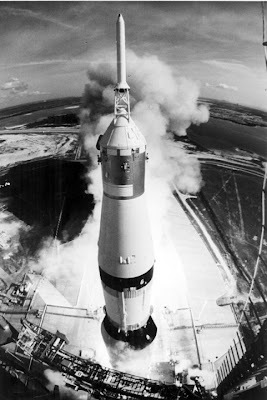 Inspiration is one of the keys to great design and this site will help with that. 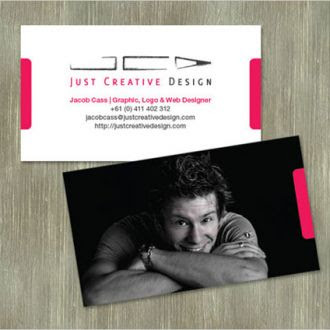 Browse around, give yourself a new looking business card - we all need a little makeover now and then. 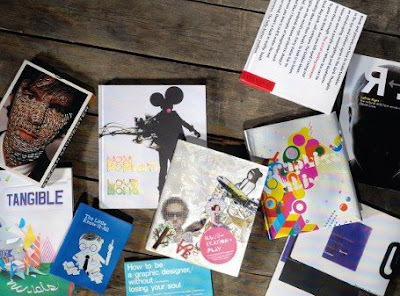 Computer Arts has put out a list of 21 design books you must own. As a designer and educator, books are one thing it seems you never can have to many of lining the shelves. 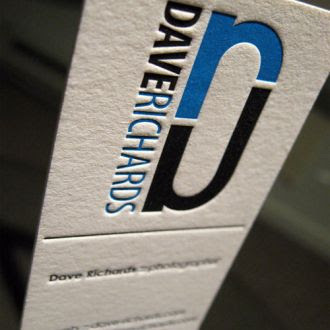 Start you own library if you have not already with this selection of fine design works. 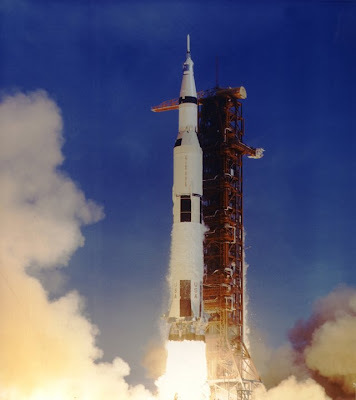 Today marks the 40th anniversary of man going to the moon. 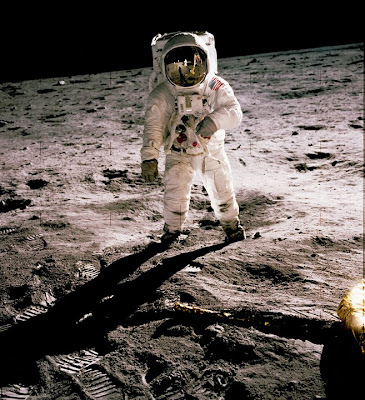 This day July 20, 1969 man walked on the moon for the first time. 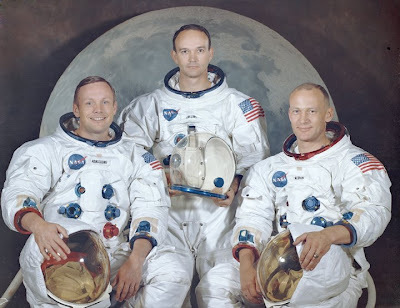 The Apollo 11 astronauts, Neil A. Armstrong, Commander; Michael Collins, Module Pilot; Edwin E. "Buzz" Aldrin, Lunar Module Pilot made this trip for all humankind. 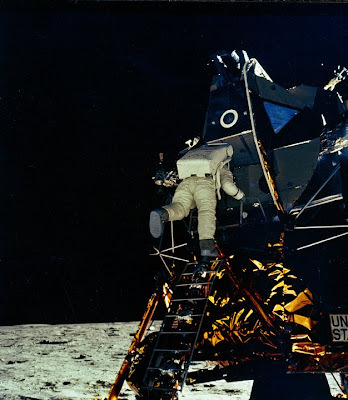 Astronaut Neil Armstrong became the first man on the lunar surface, and astronaut Aldrin became the second. 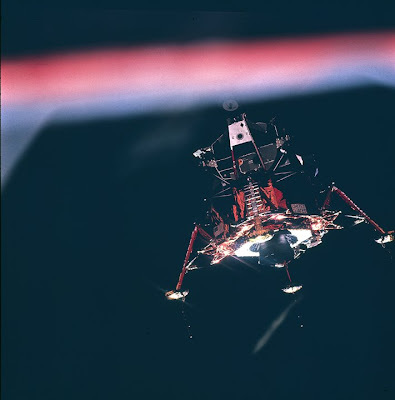 Astronaut Collins piloted the Command Module in a parking orbit around the Moon. 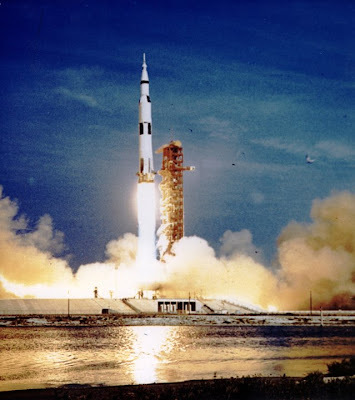 Launched aboard the Saturn V launch vehicle (SA-506), the three astronauts began their journey to the moon with liftoff from launch complex 39A at the Kennedy Space Center at 8:32 am CDT, July 16, 1969. 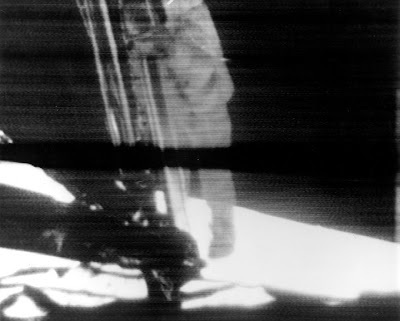 View more over at NASA. 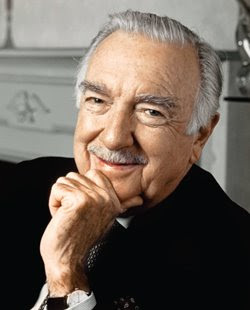 Walter Cronkite dies at the age of 92. 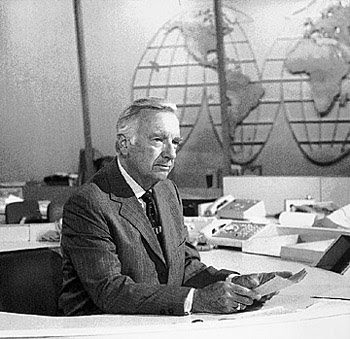 He was the best and the gold standard. The New York Times has an excellent article on his life. 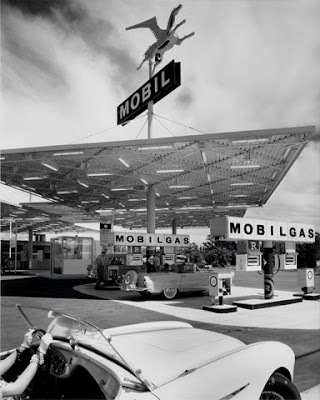 The great photographer Julius Shulman died on July 15th at the age of 98 in Los Angeles, CA. 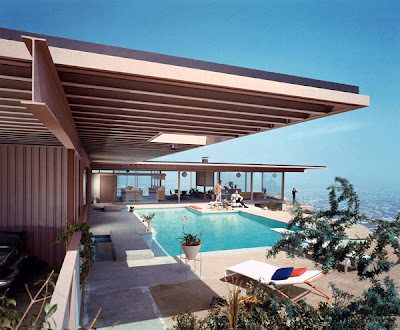 Shulman's photos of architecture and design came to embody mid-century design and the dream of California. 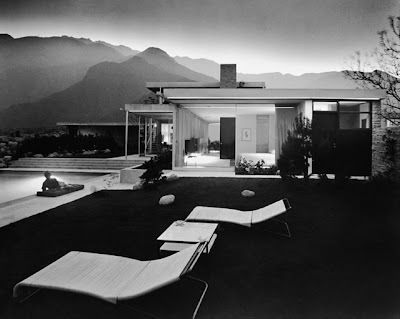 Julius Shulman got his start when he visited Richard Neutra's Kun House in the hills of Hollywood. 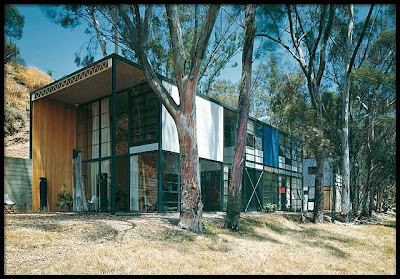 He snapped a few photos and sent them to Neutra as a gift. 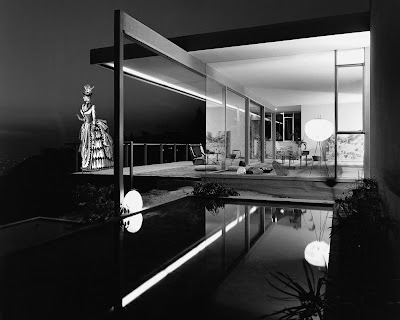 Neutra was impressed and hired Shulman to photograph other projects and a career was launched. 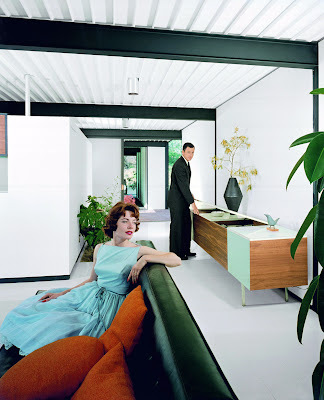 The images that Shulman took came to express mid-century design and architecture at its best. He photographed the building and homes created by design greats Frank Lloyd Wright, Charles Eames, Raphael S. Soriano, Pierre Koenig and Eero Saarinen. 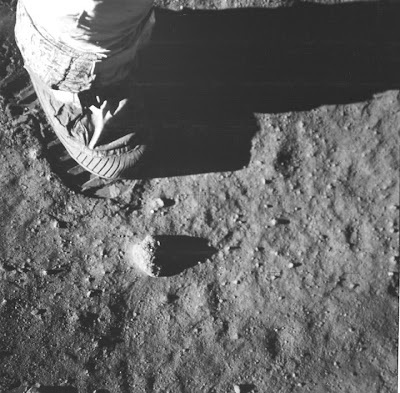 His vision, his light, his angles came to represent California design from Palm Springs to Los Angeles. 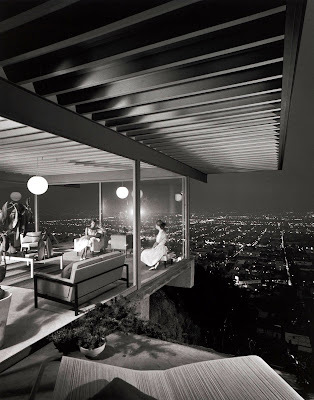 One of Julius Shulman's most famous photos was that of Koenig's Case Study House #22, the glass-walled, cantilevered structure hovering above the lights of Los Angeles. This image captured the vision of Case Study Homes as modern, open, and oh so Hollywood. The Los Angeles Times has written a nice article on Shulman's life at this link.